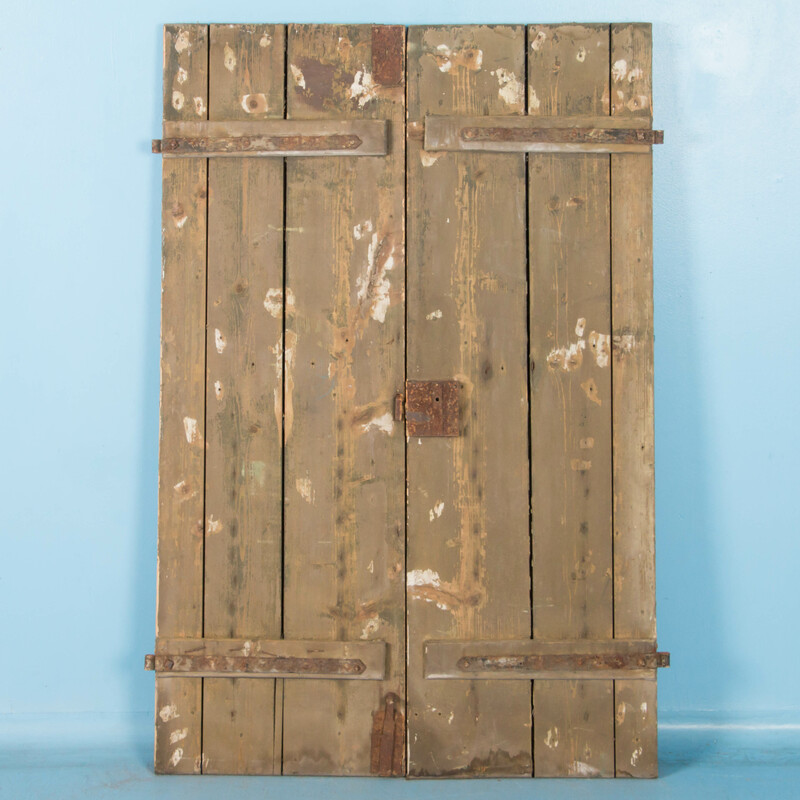 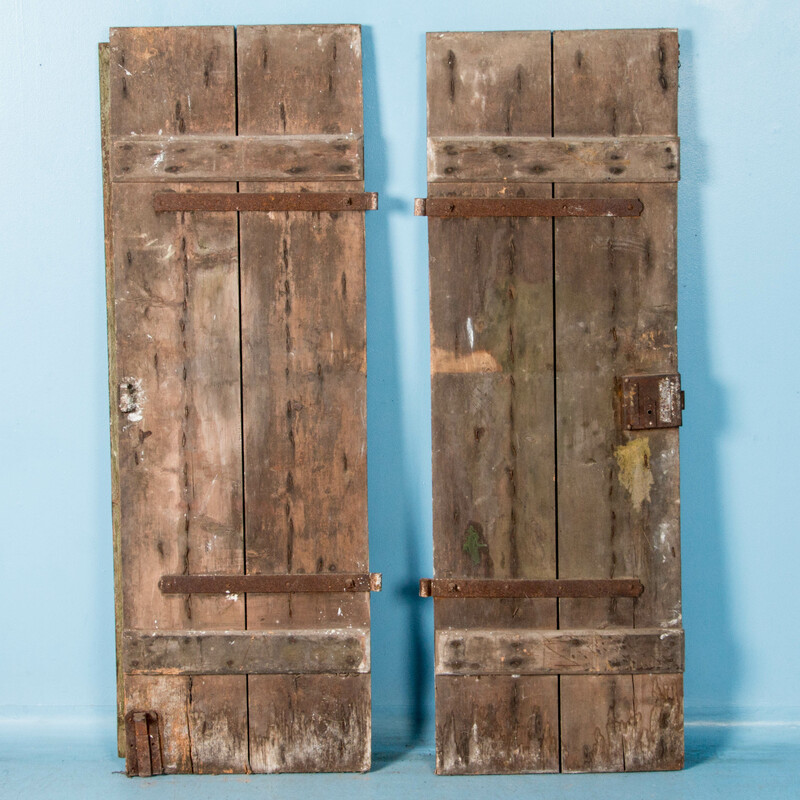 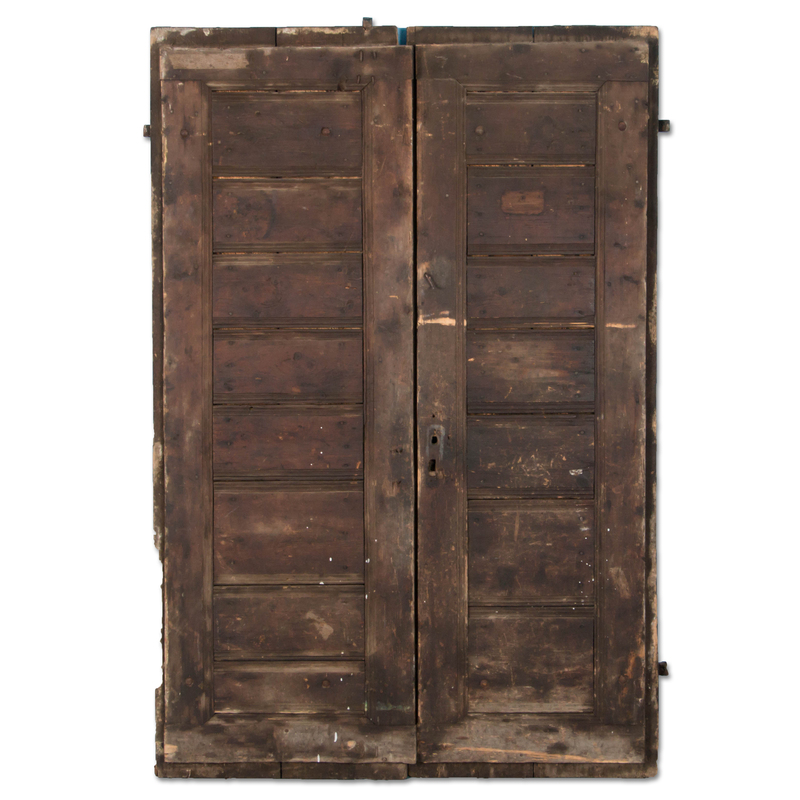 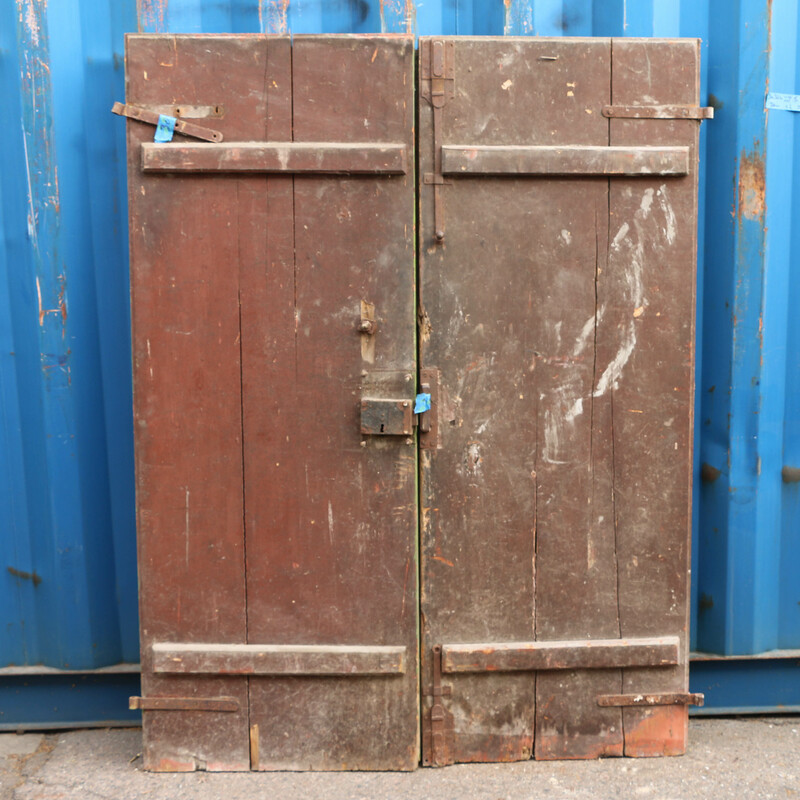 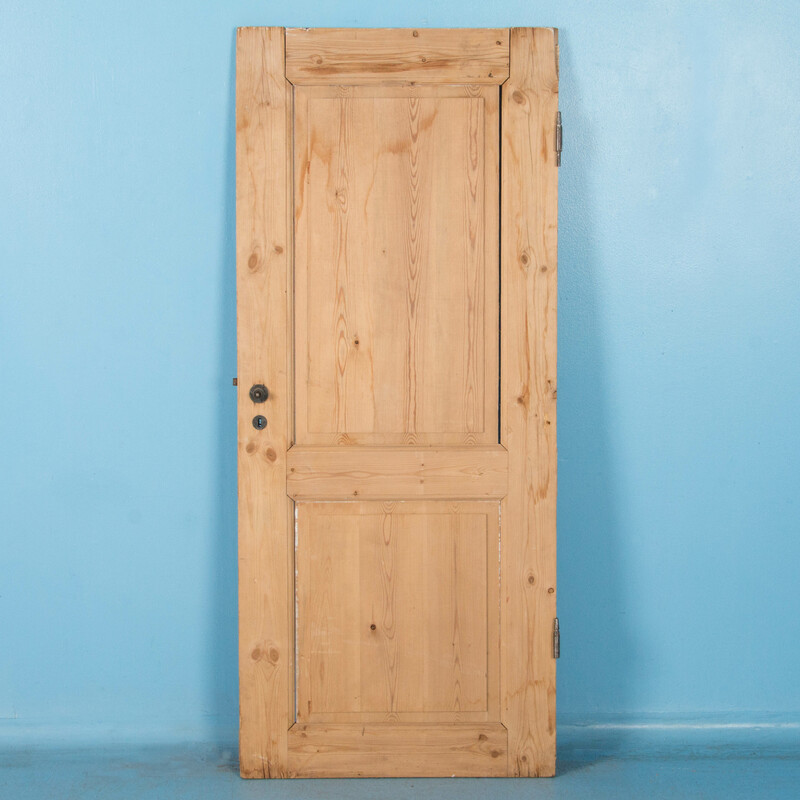 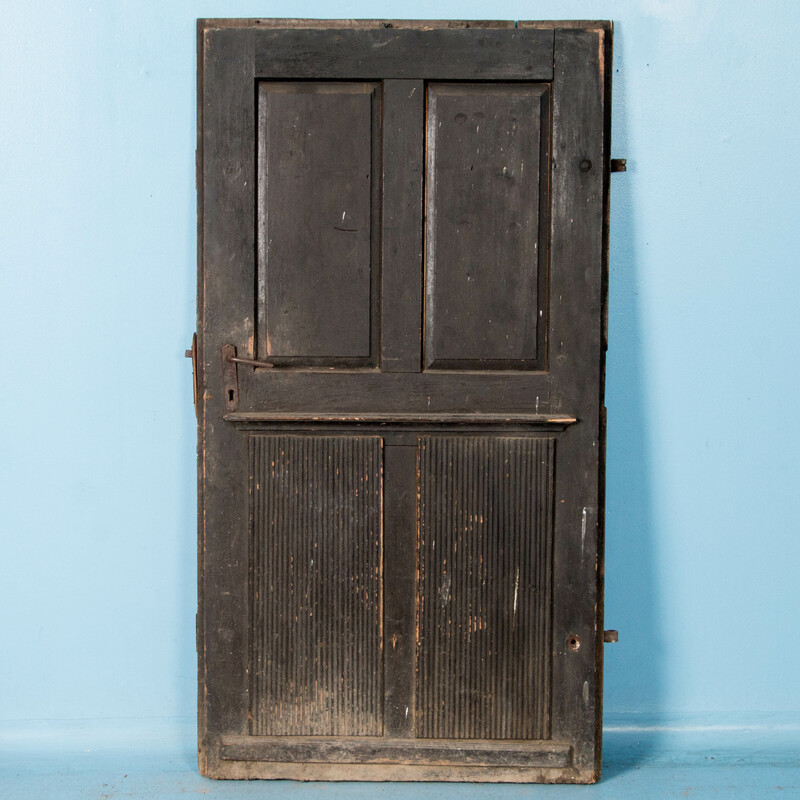 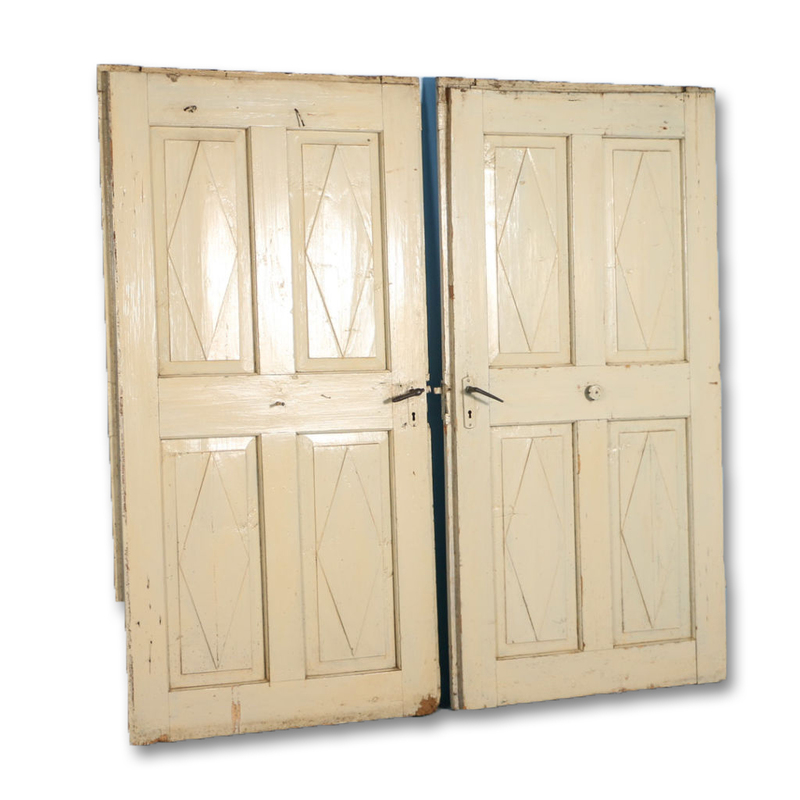 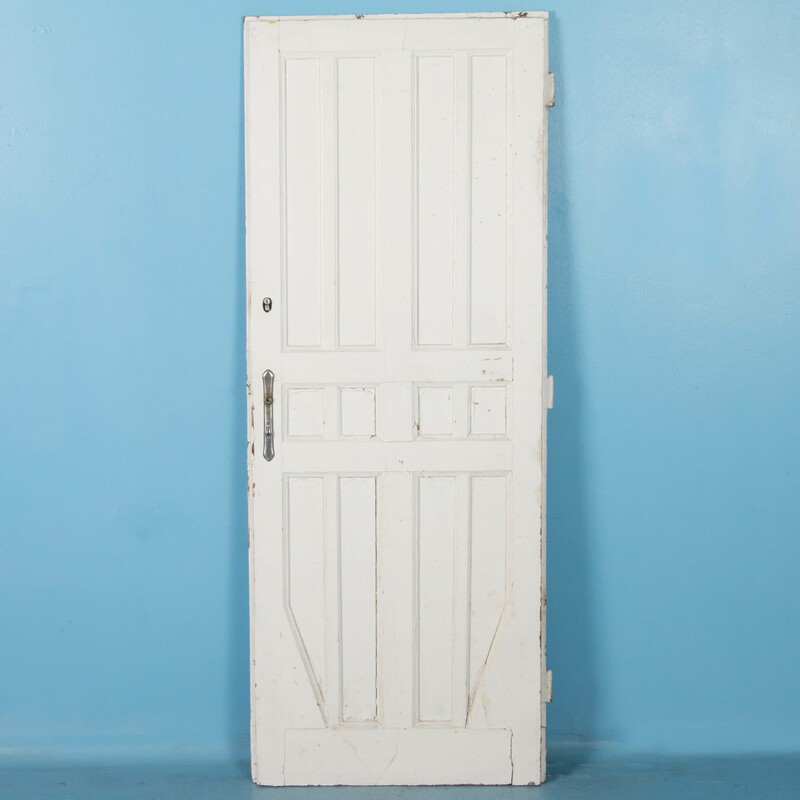 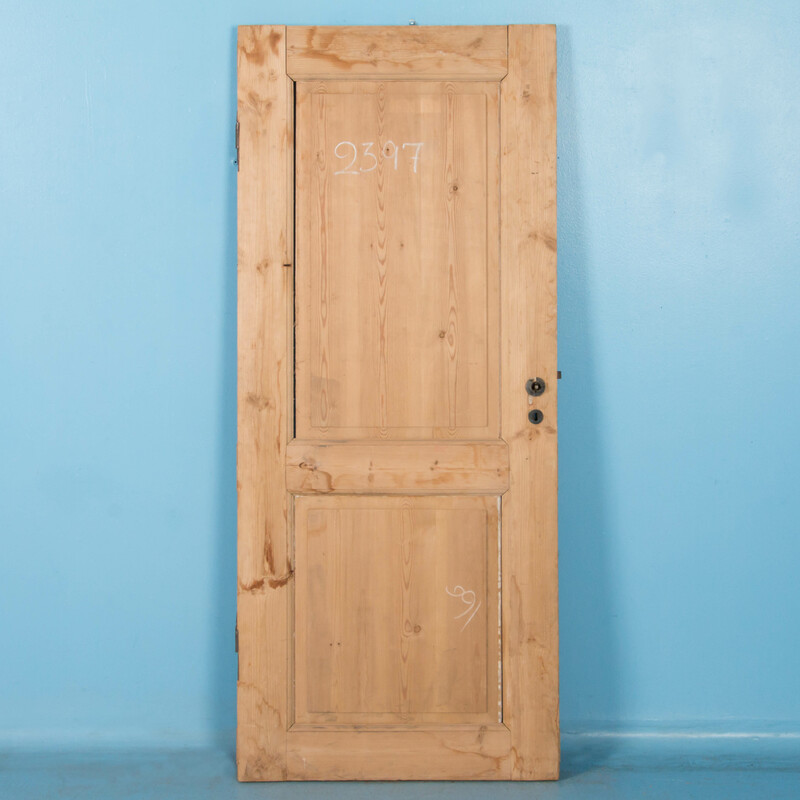 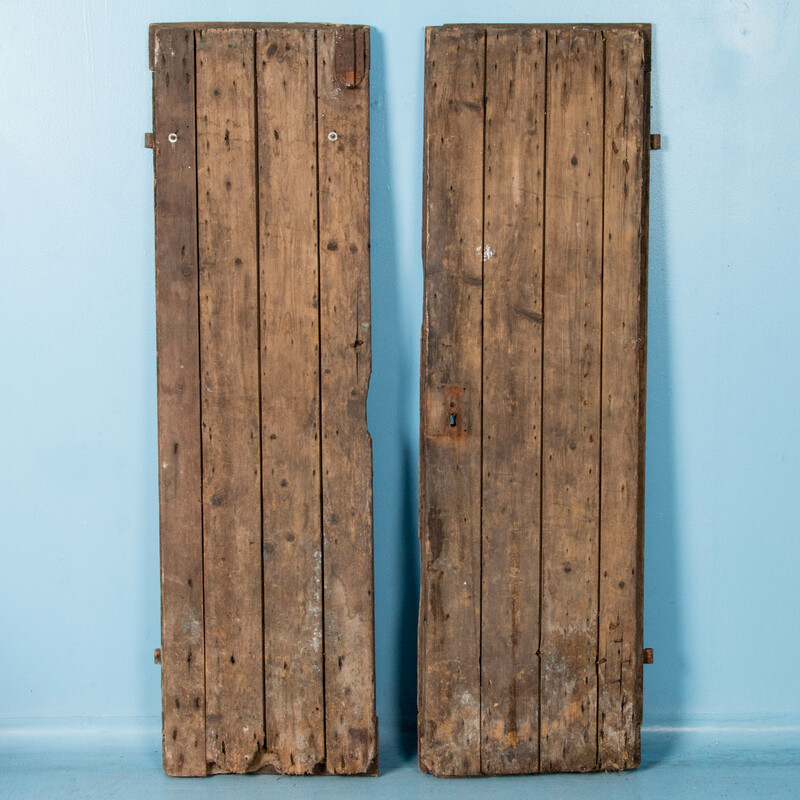 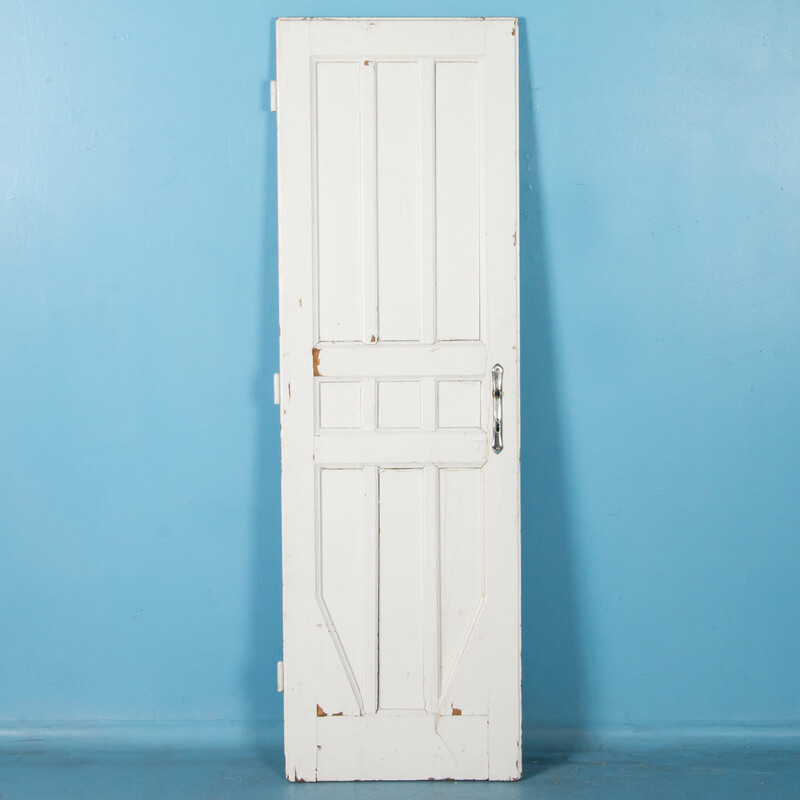 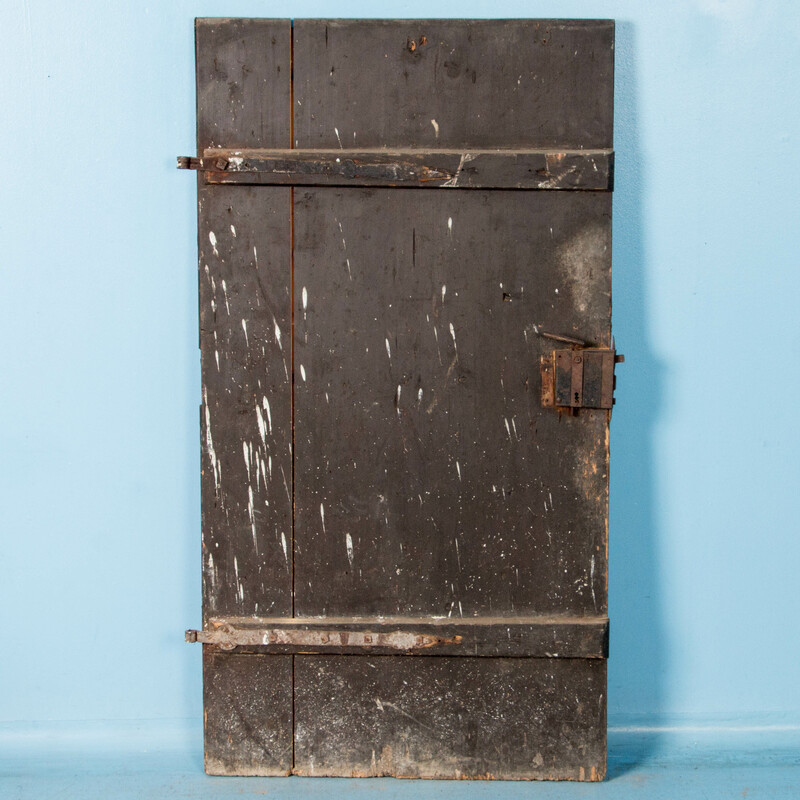 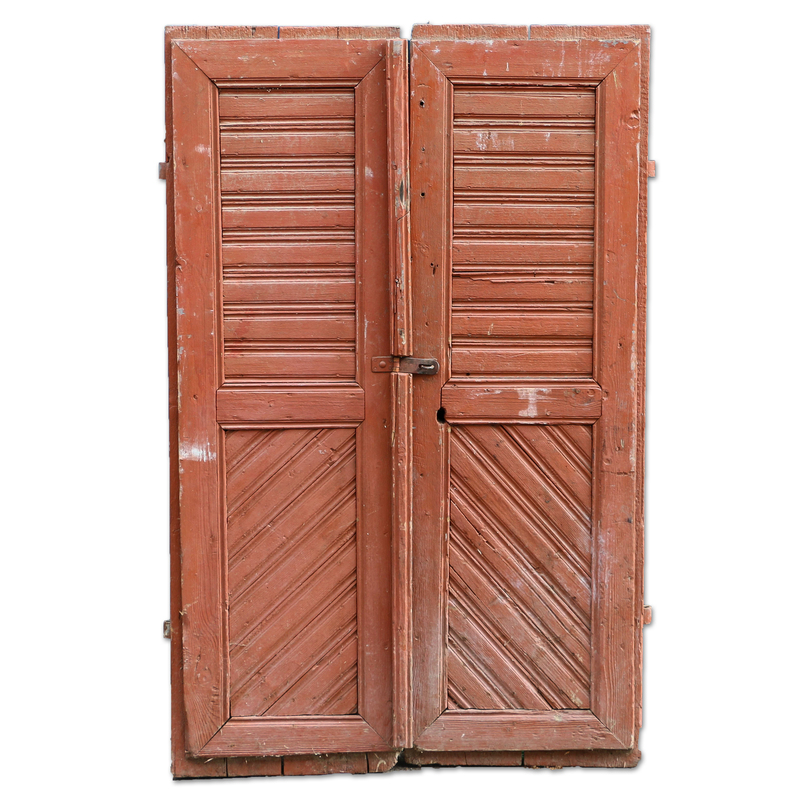 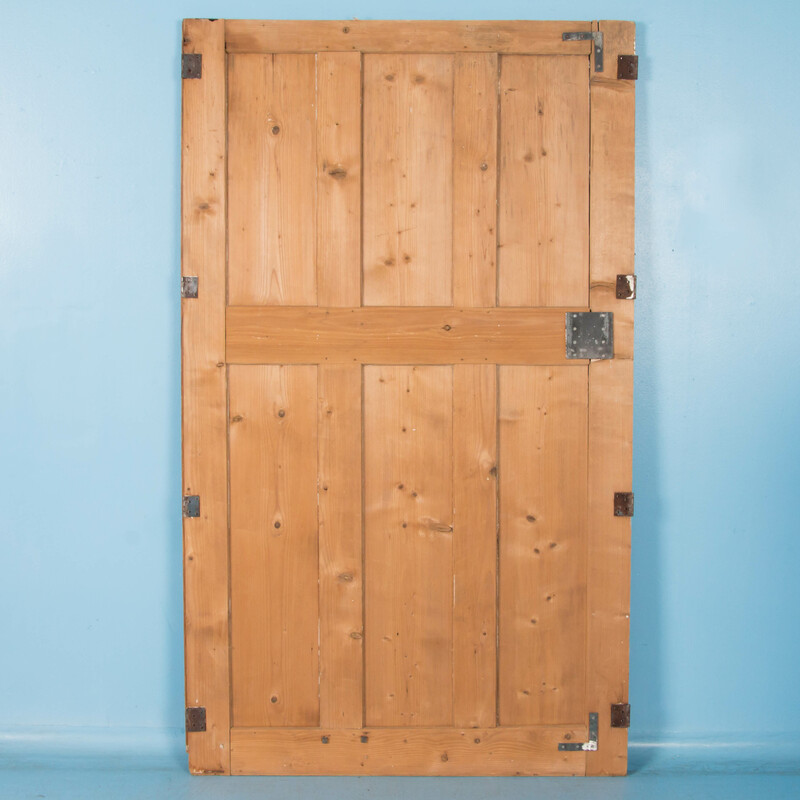 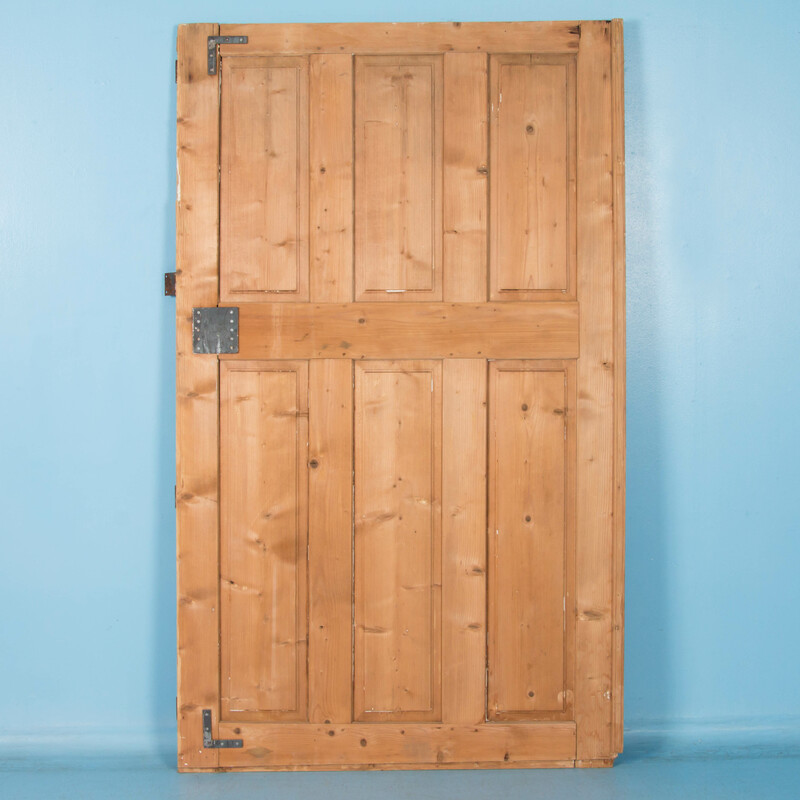 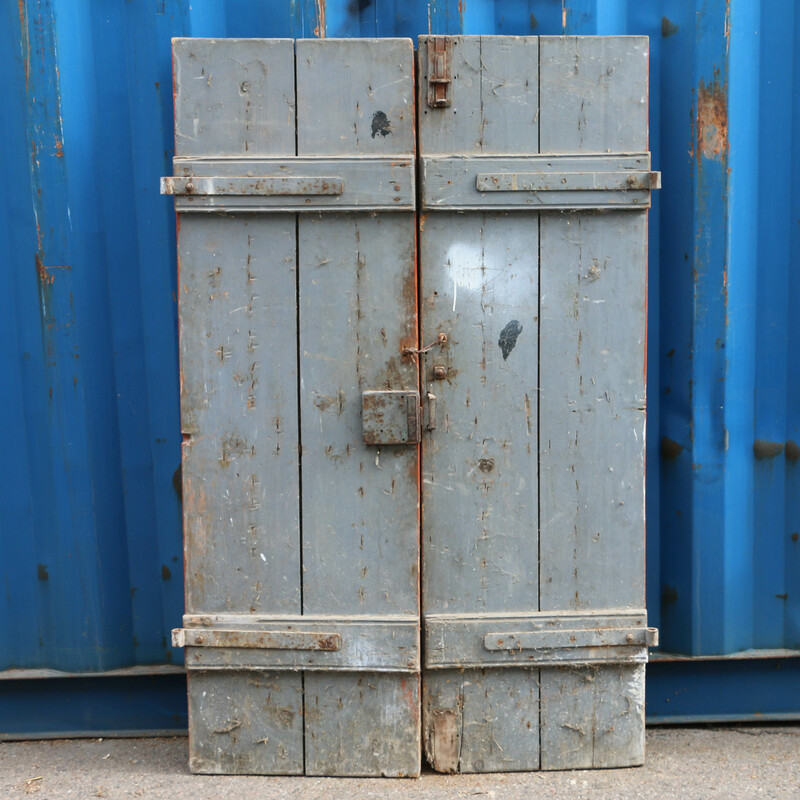 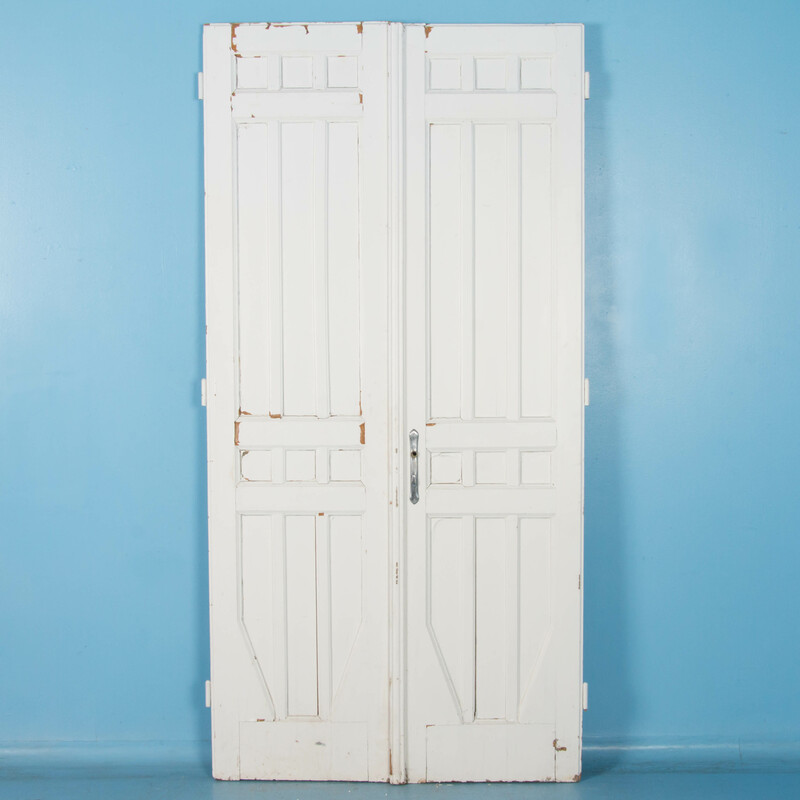 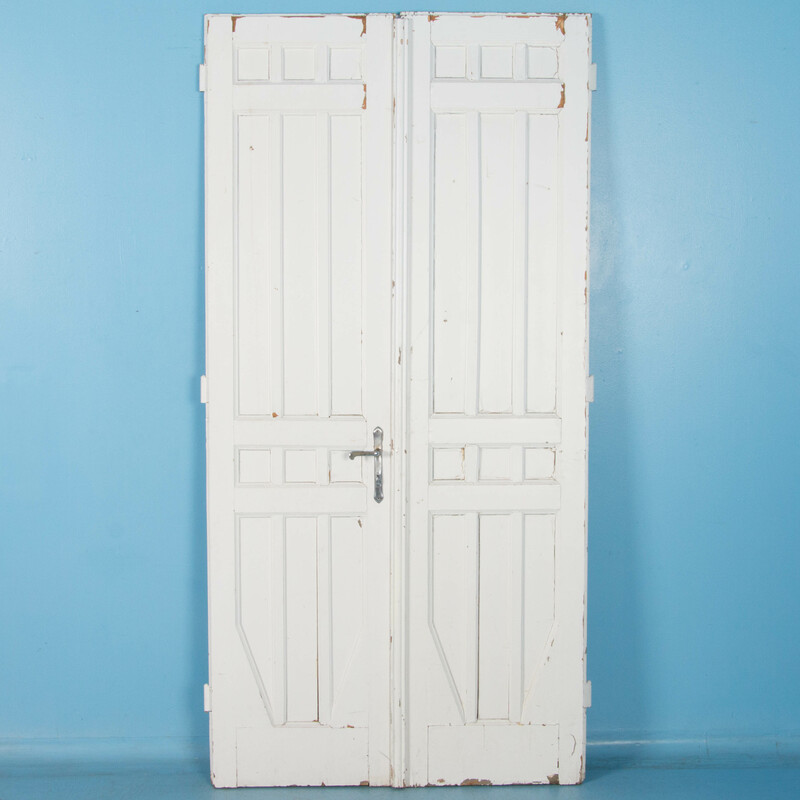 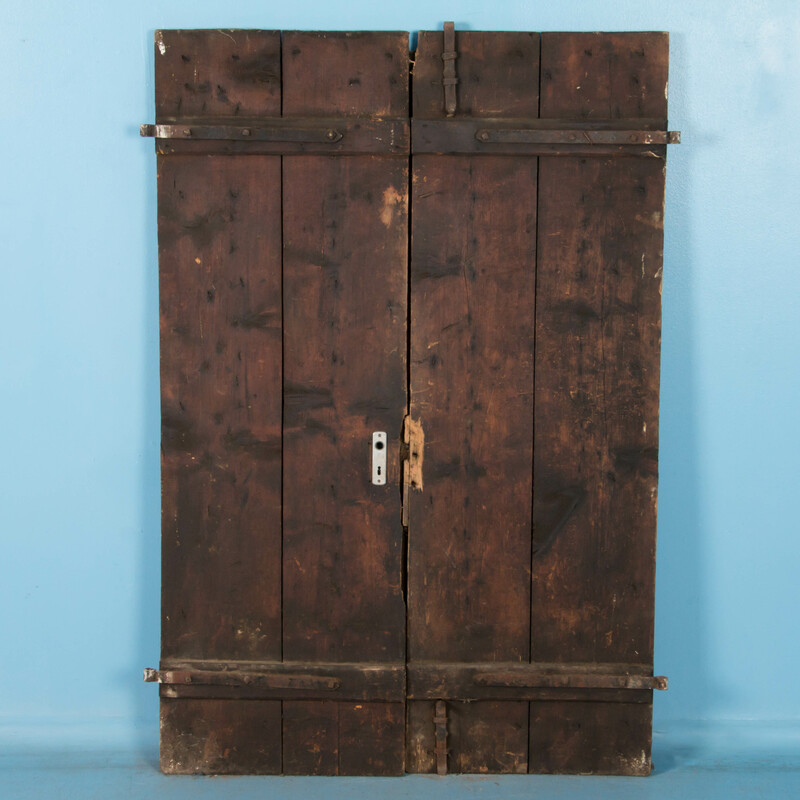 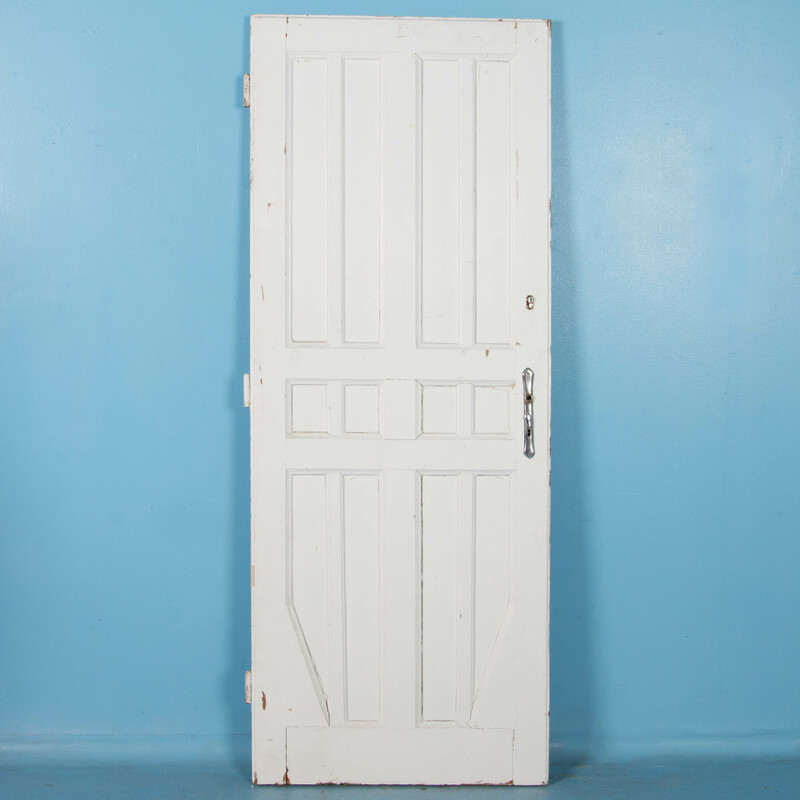 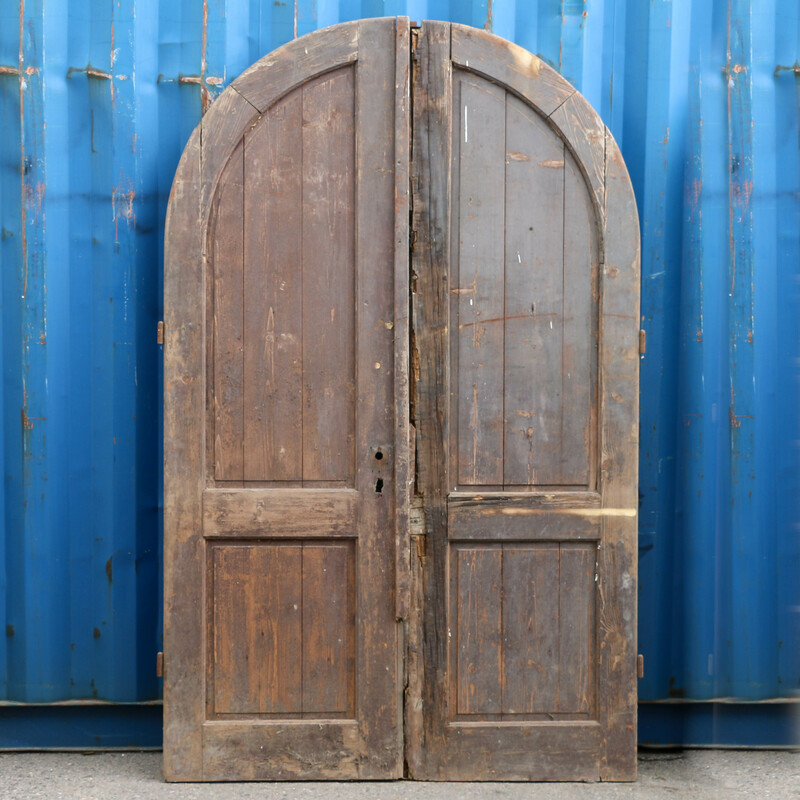 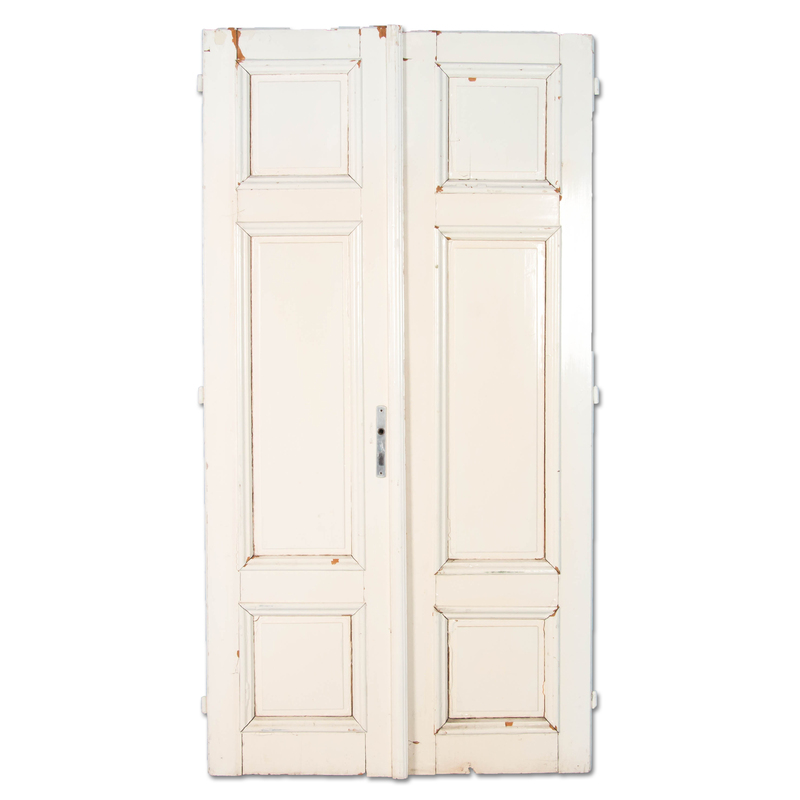 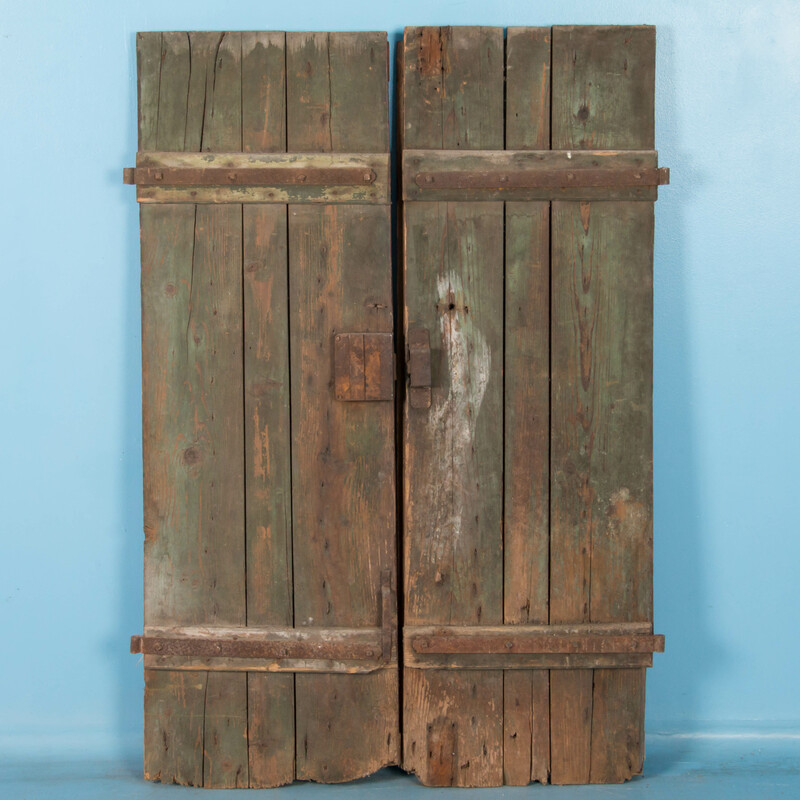 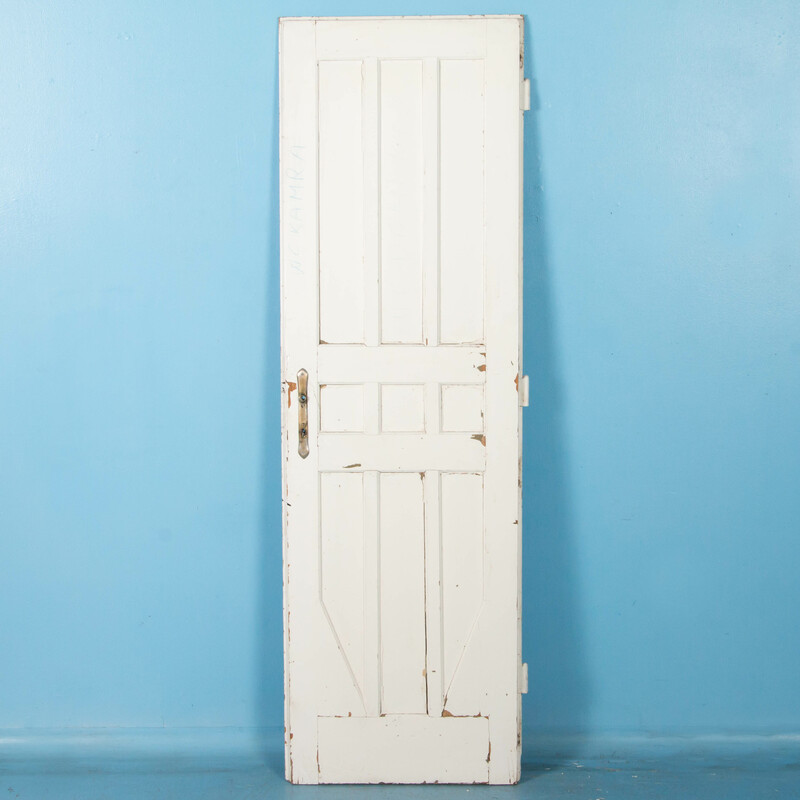 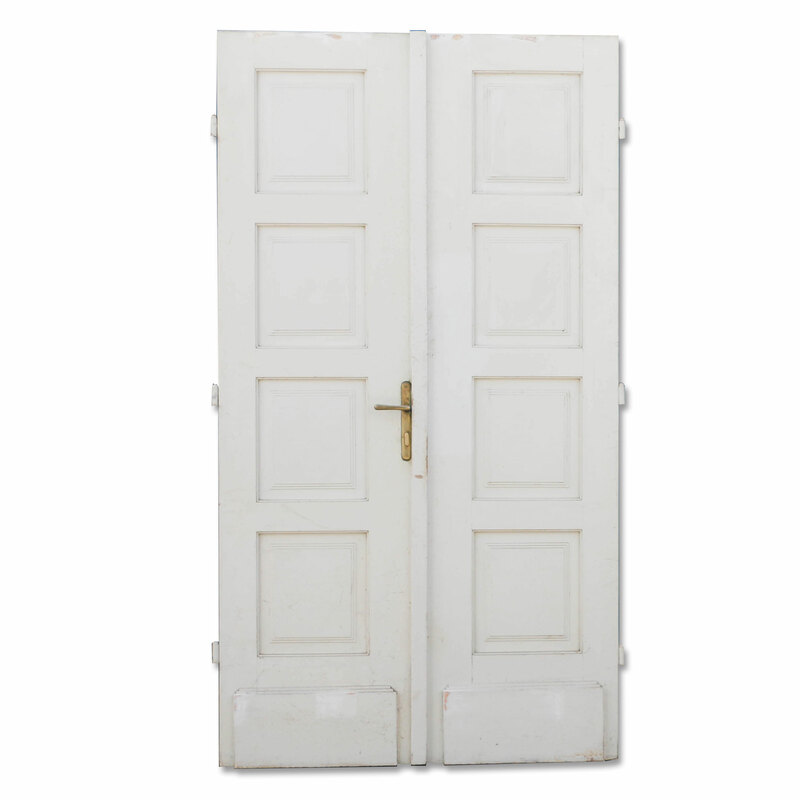 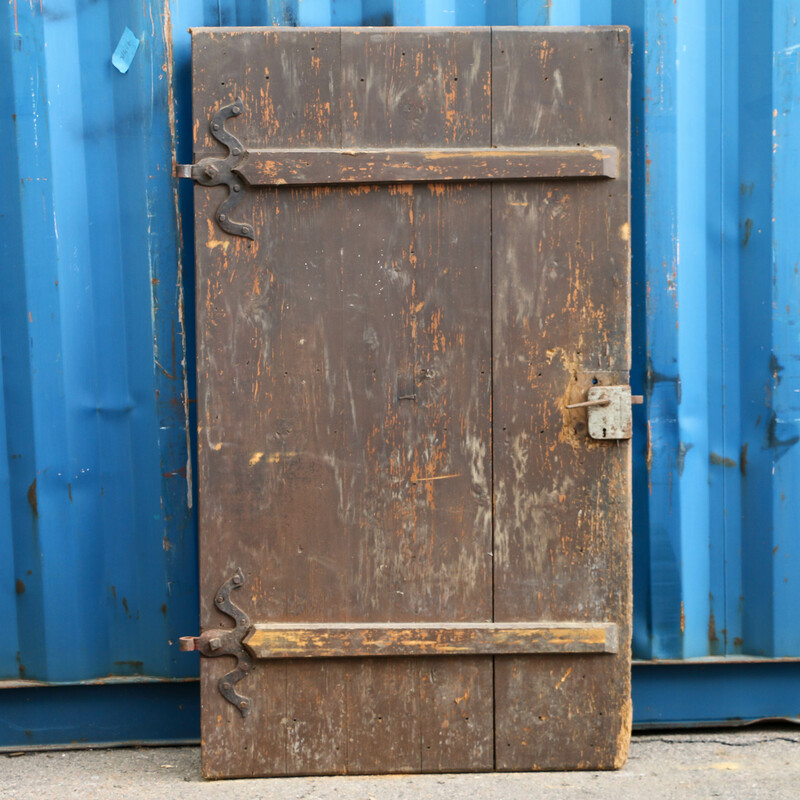 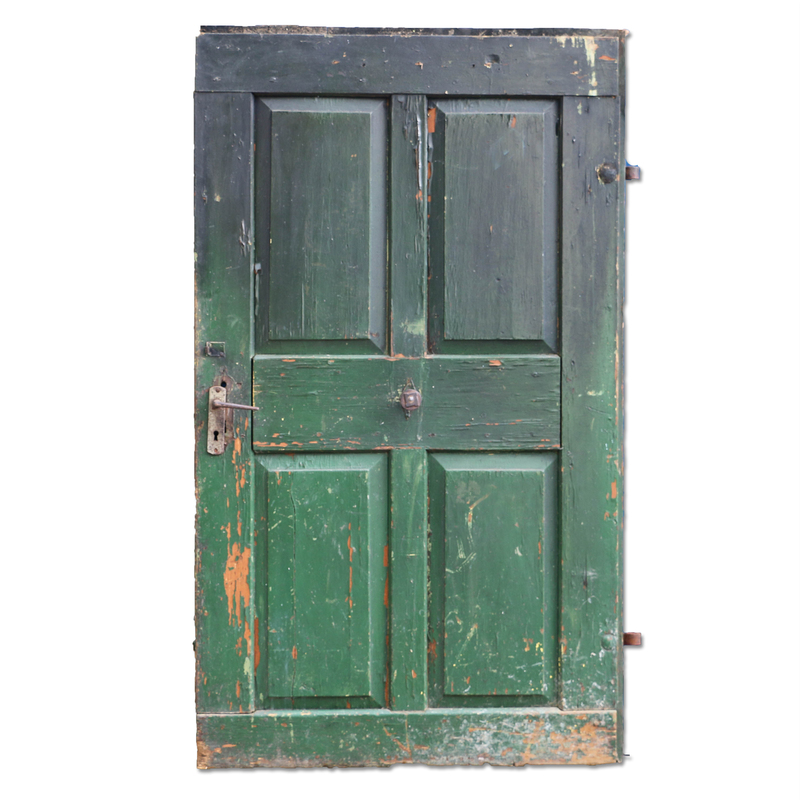 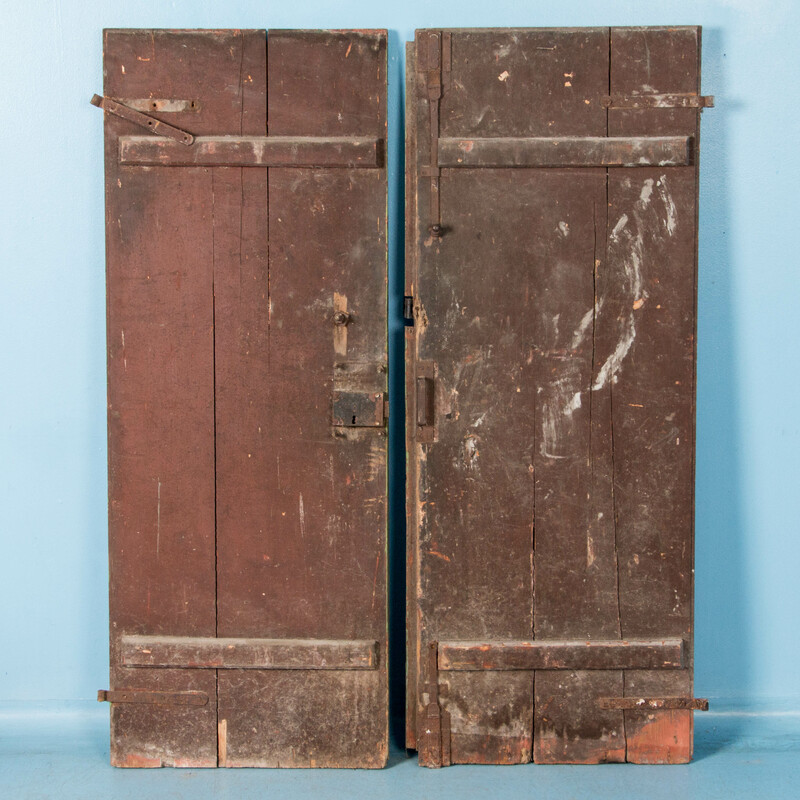 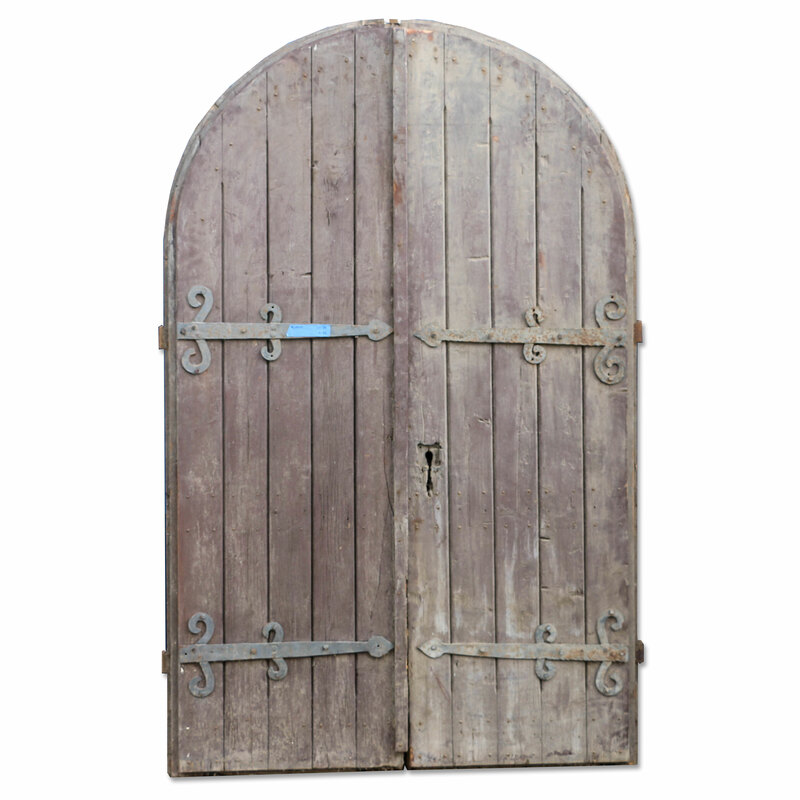 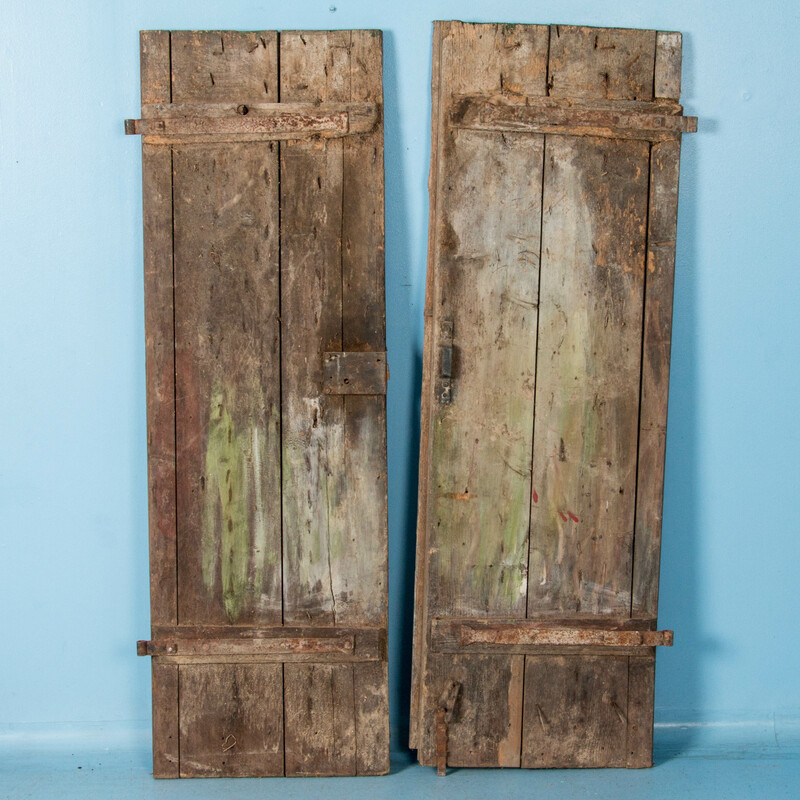 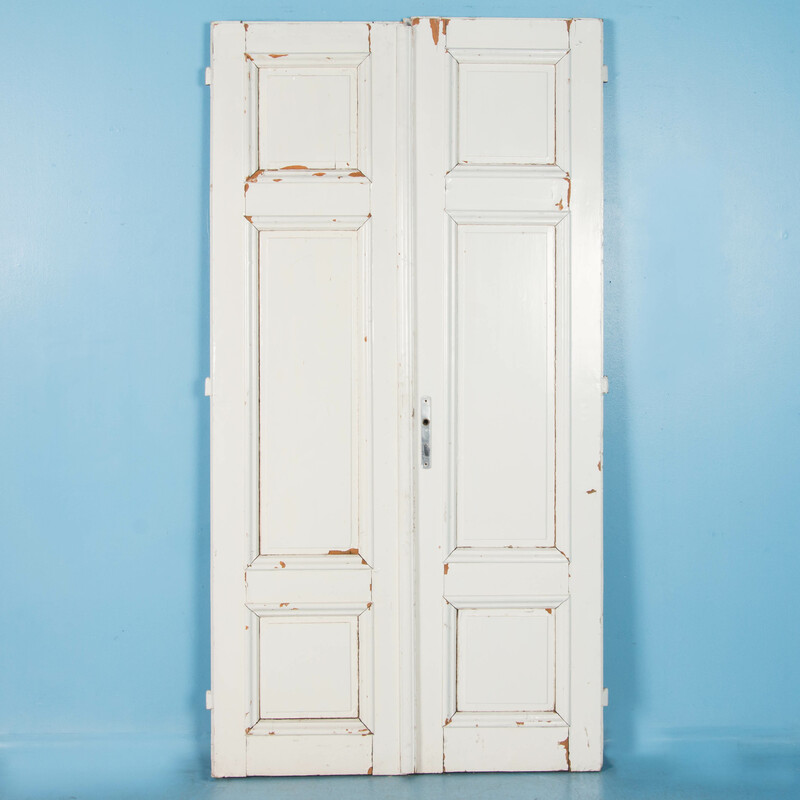 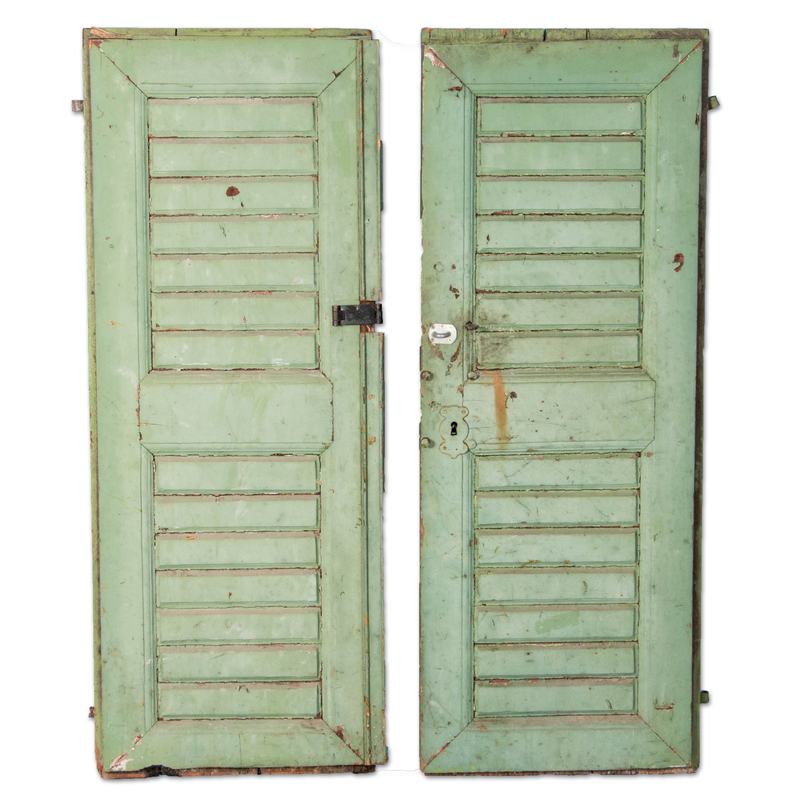 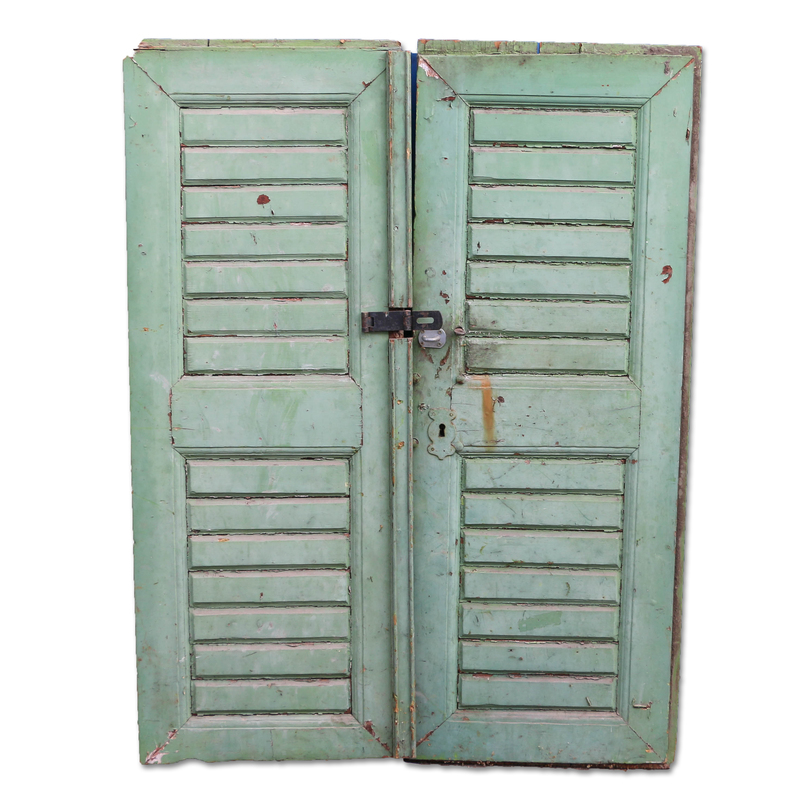 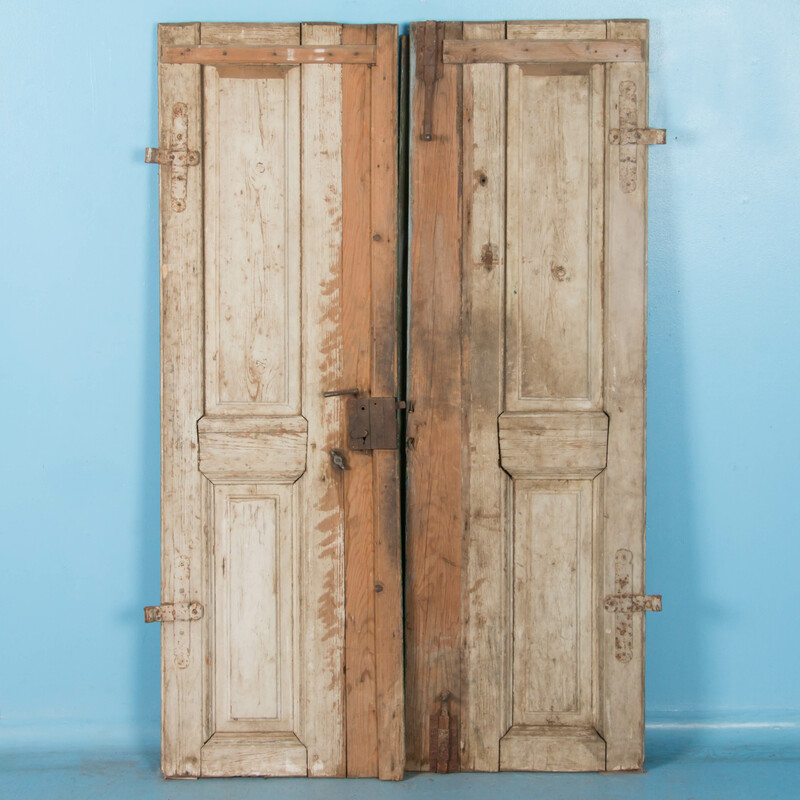 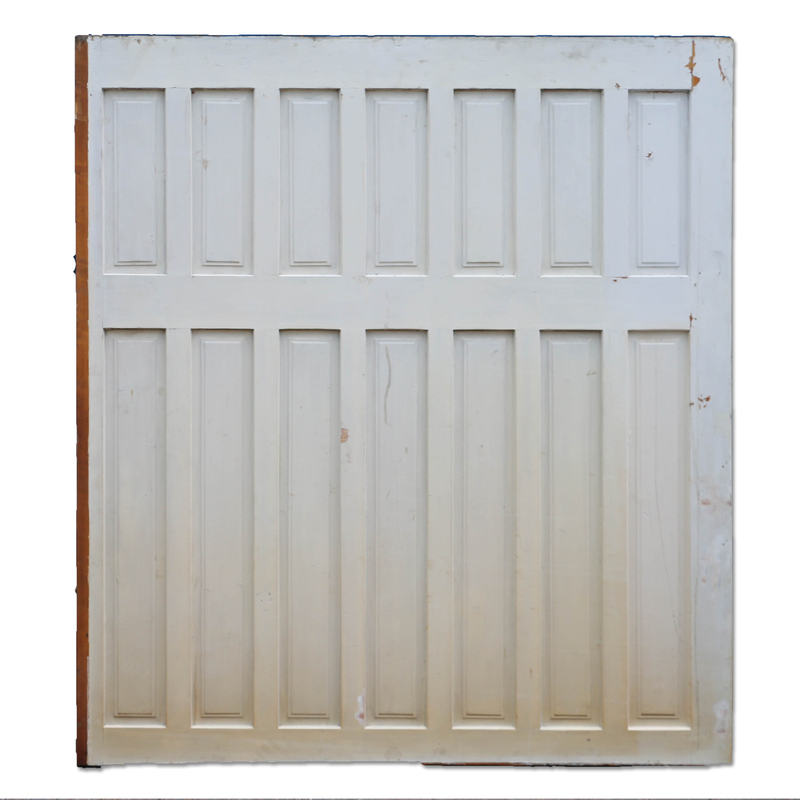 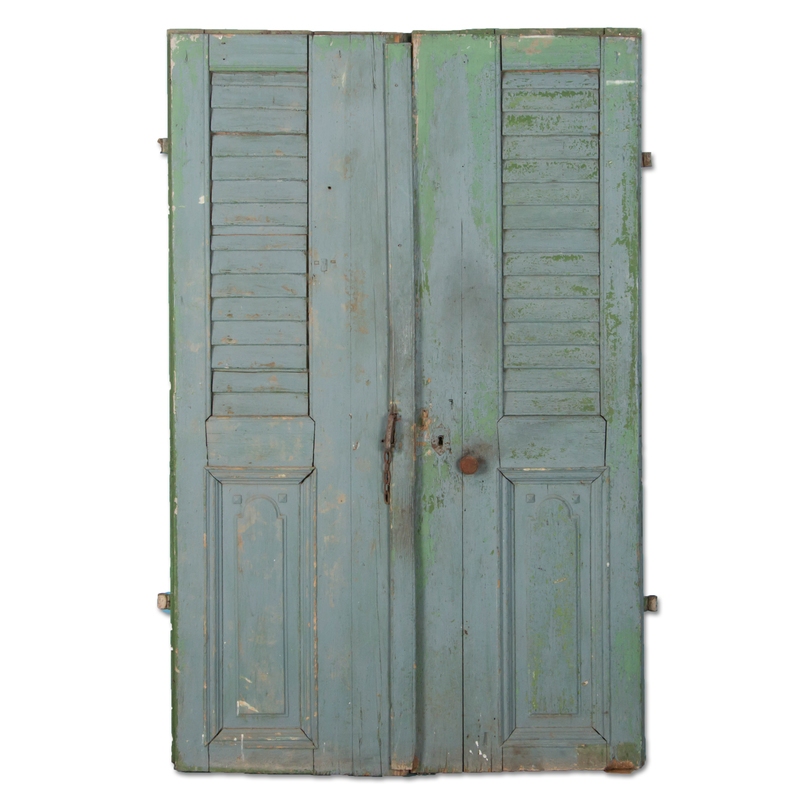 The door has been stripped and still retains the original hinges and latch. 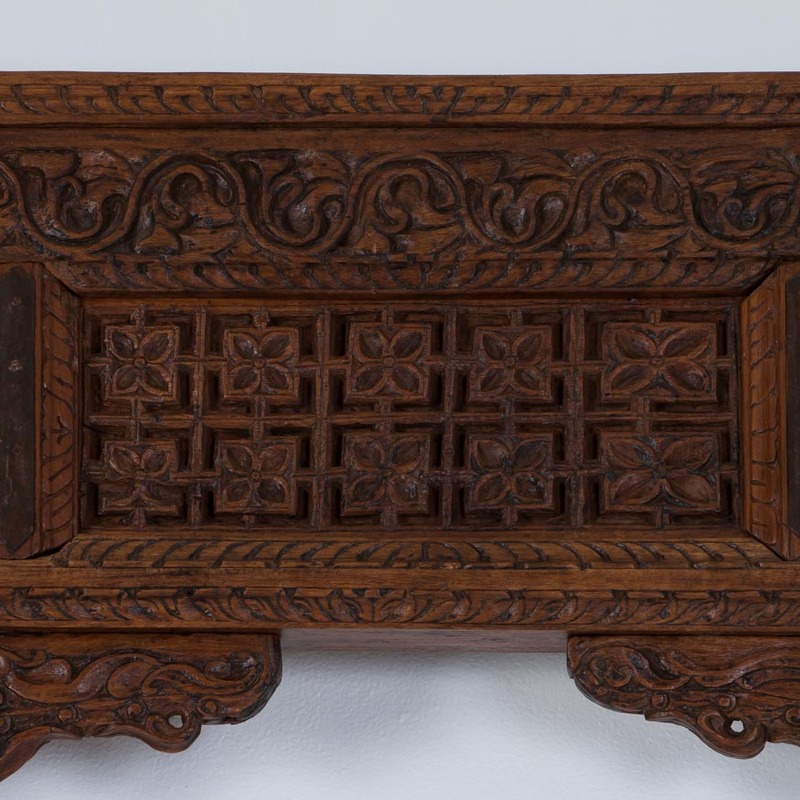 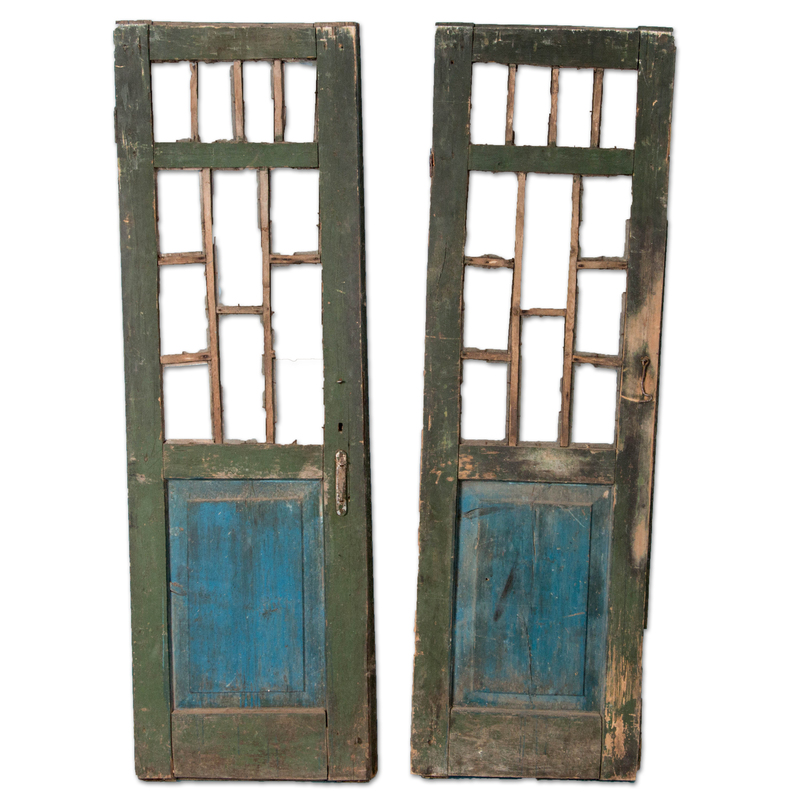 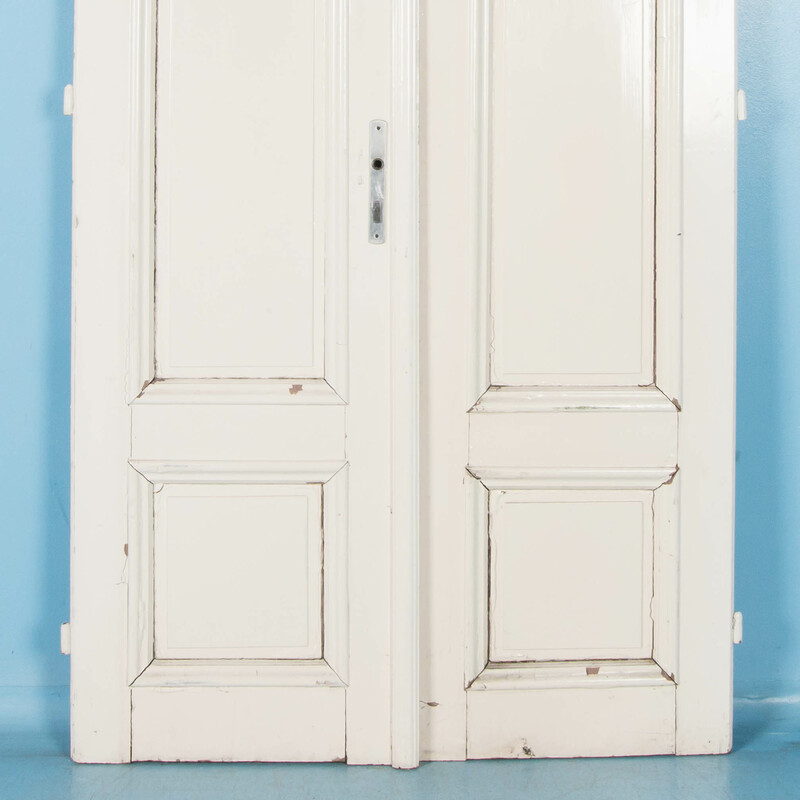 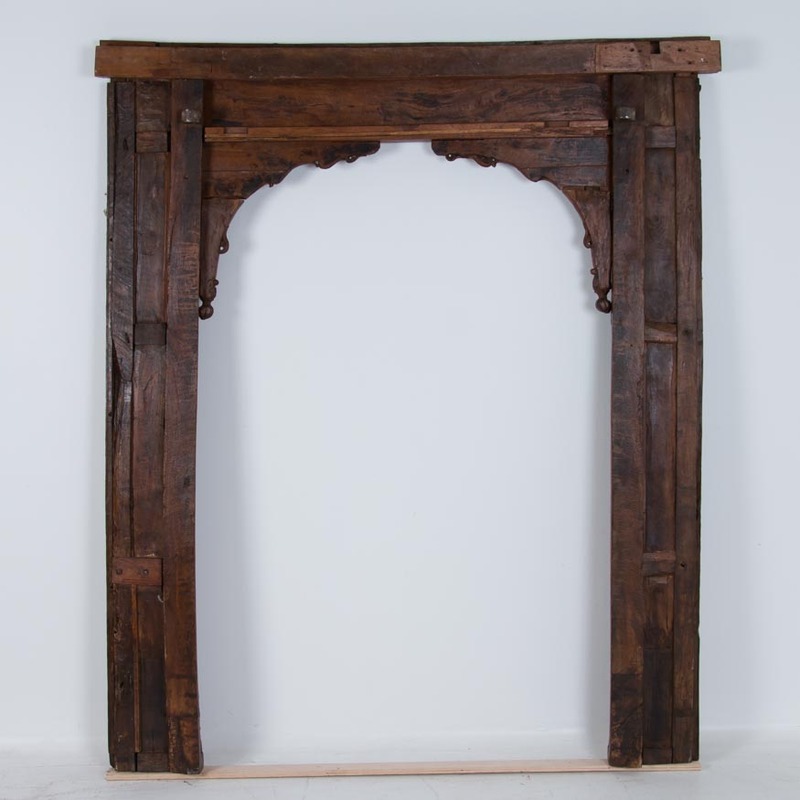 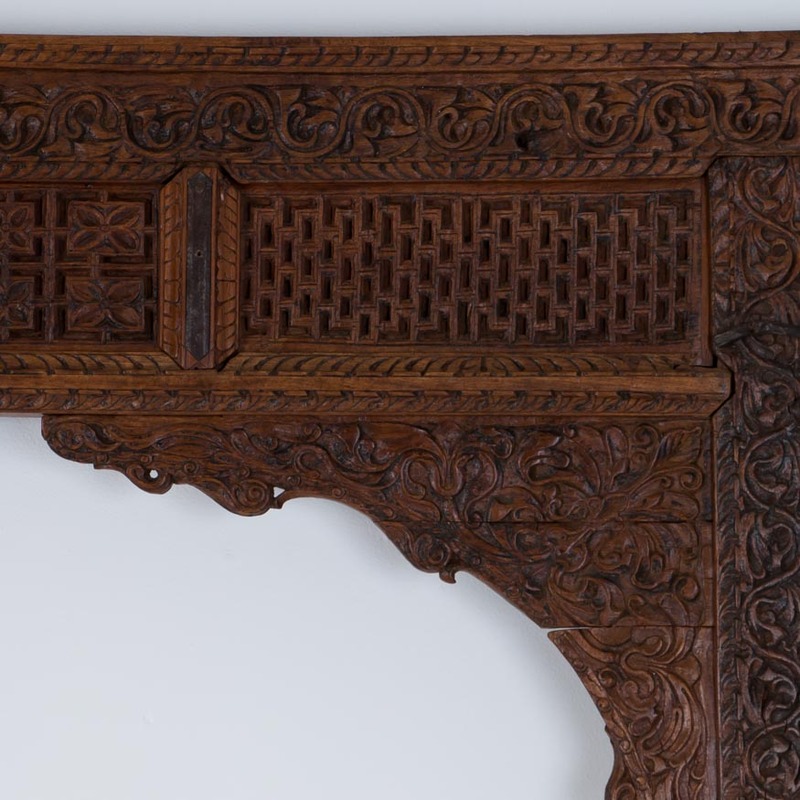 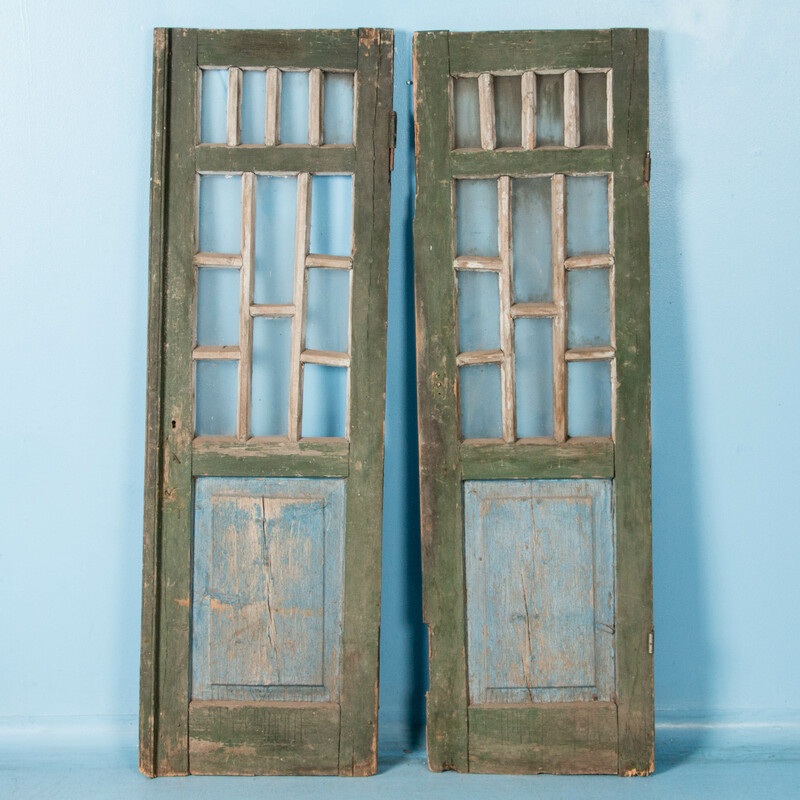 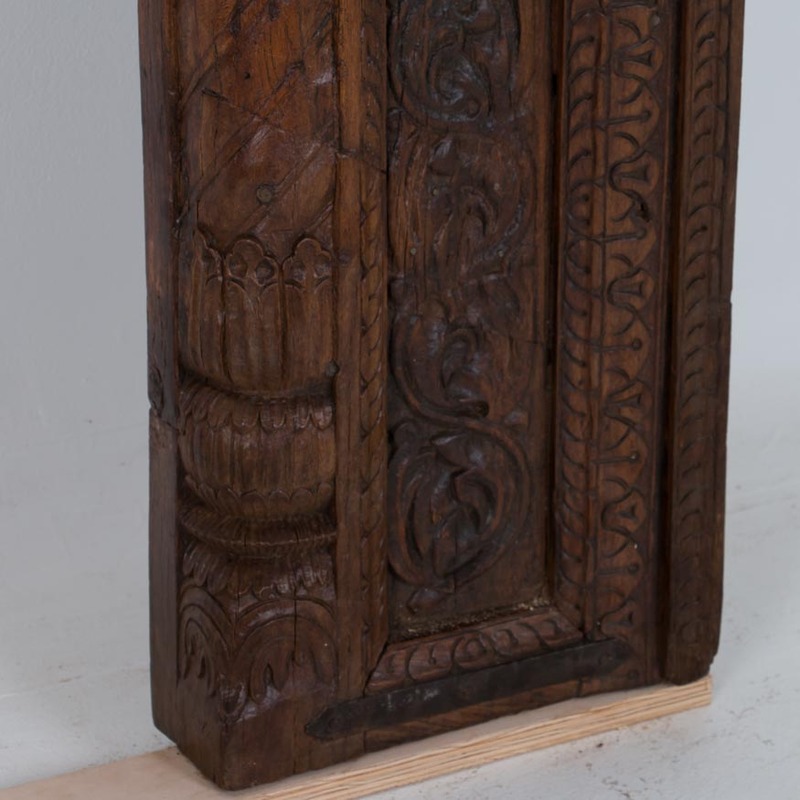 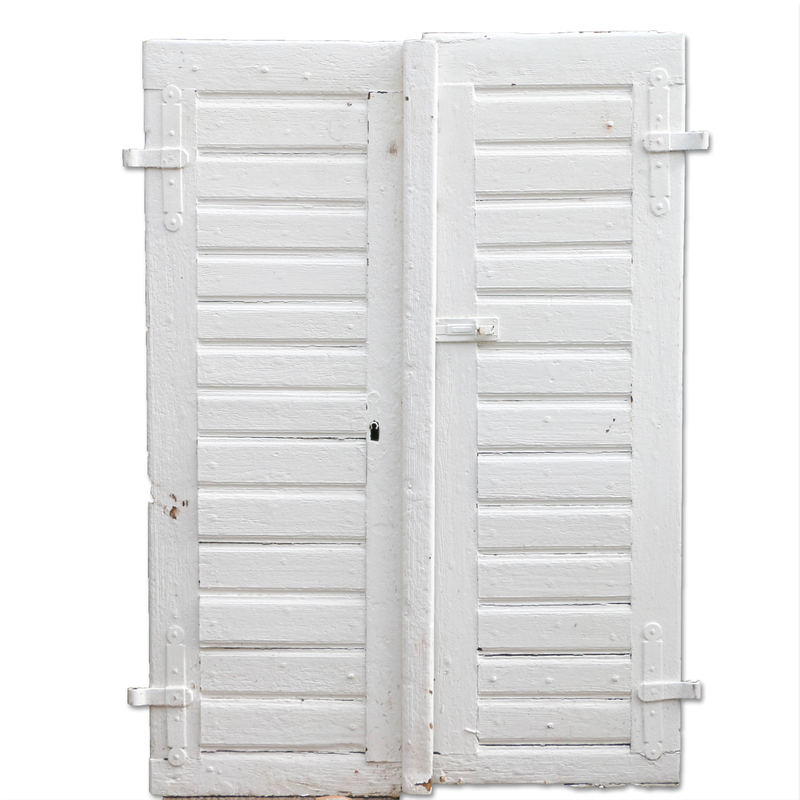 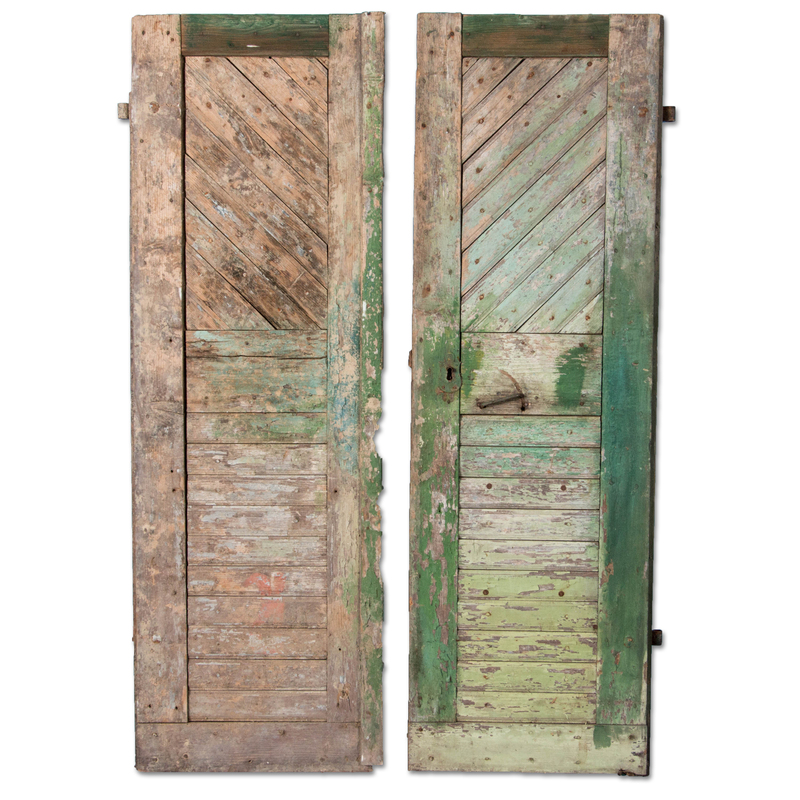 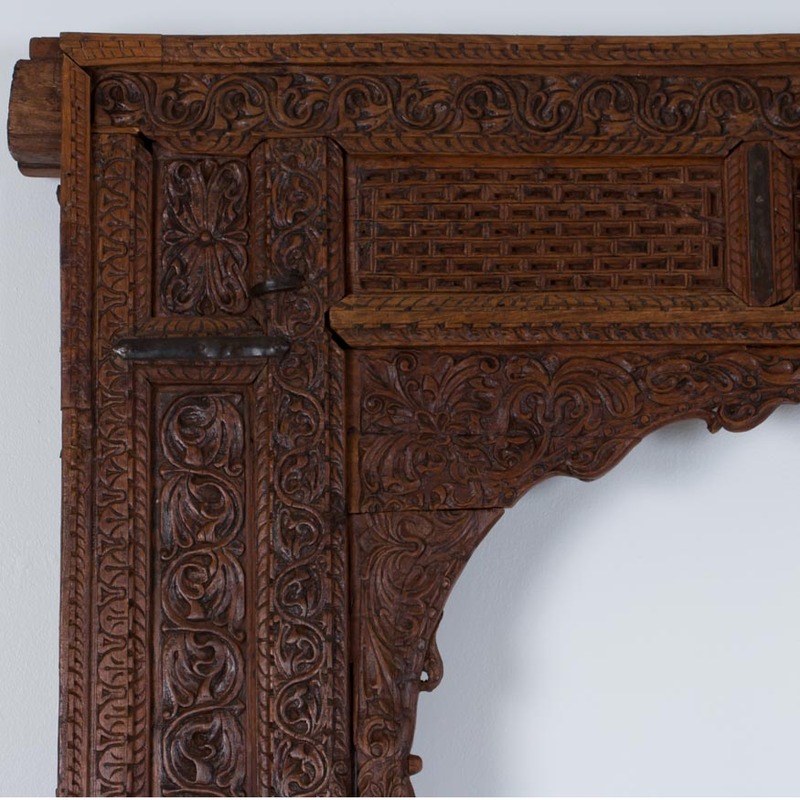 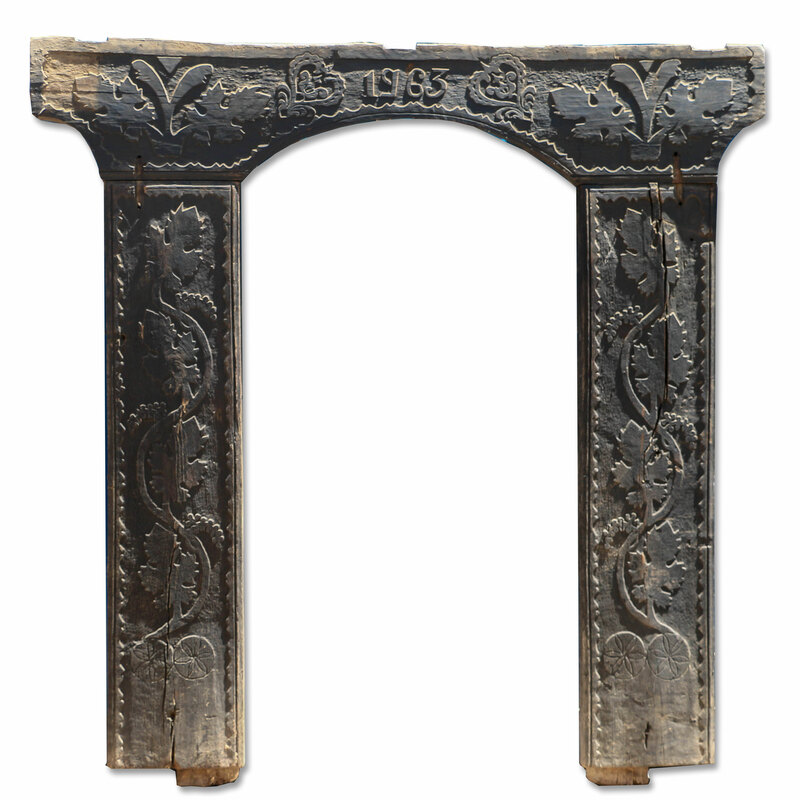 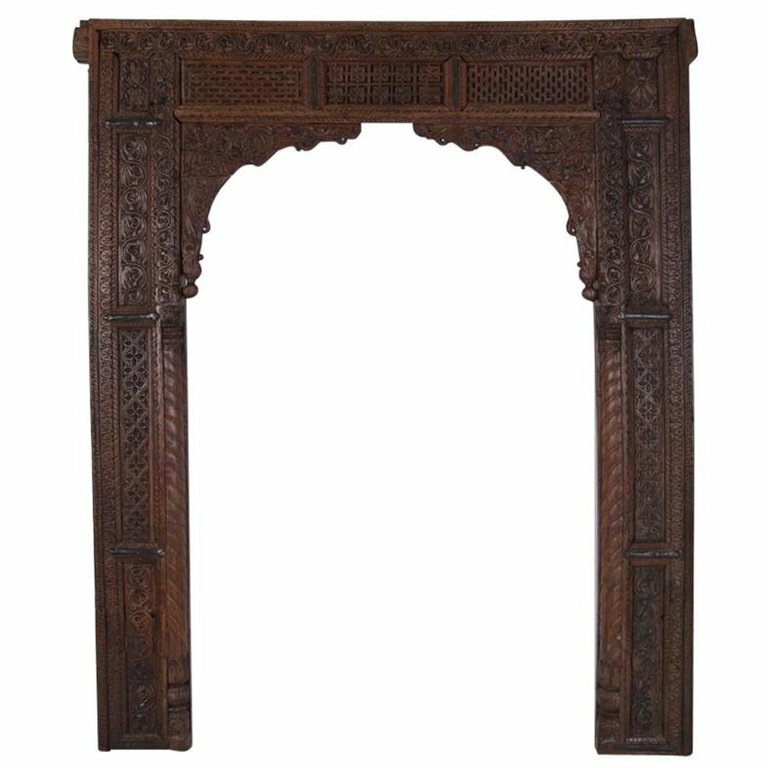 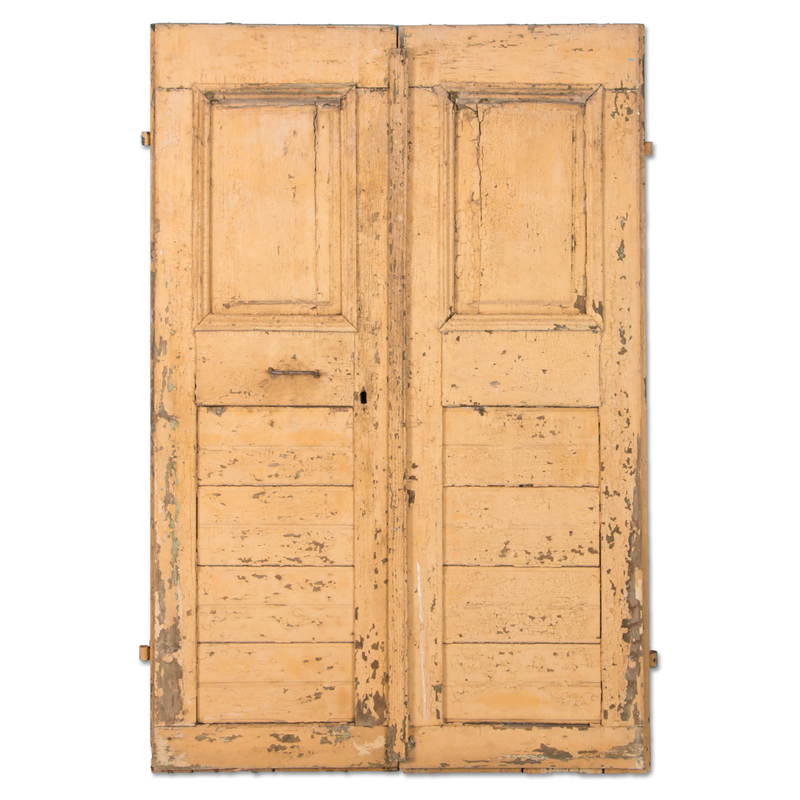 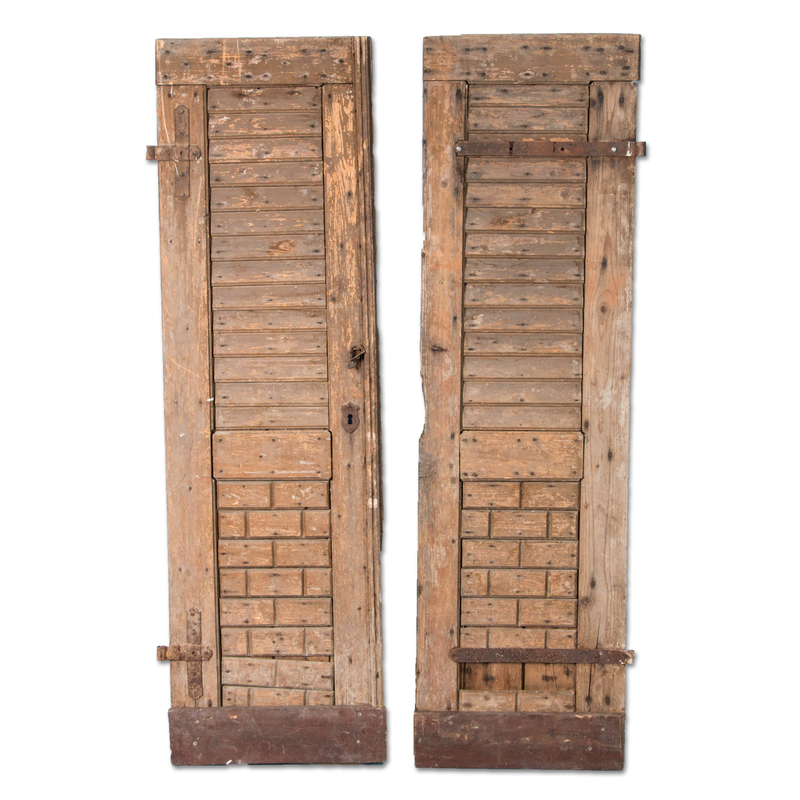 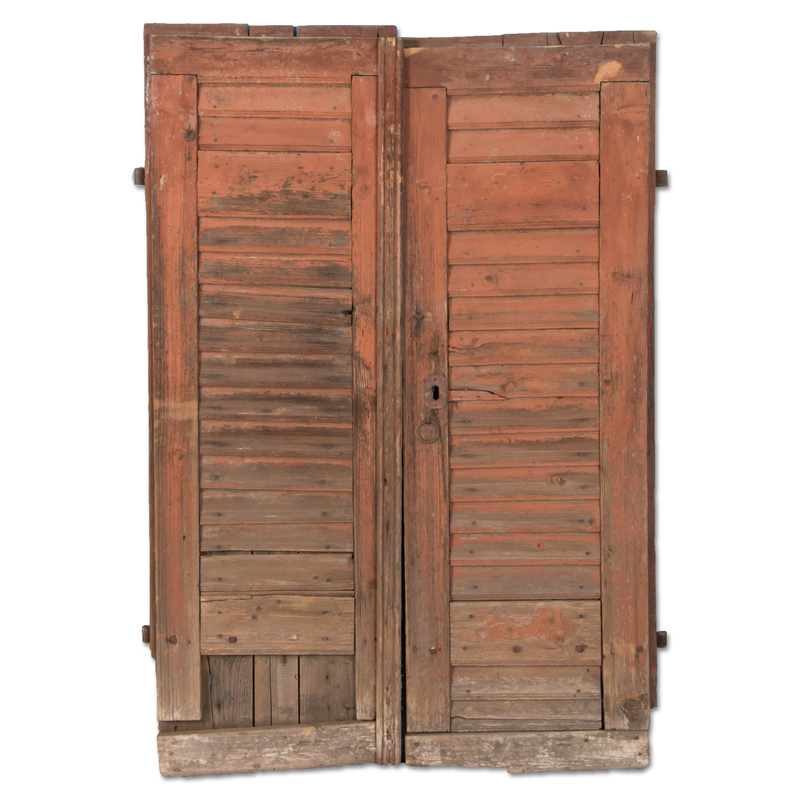 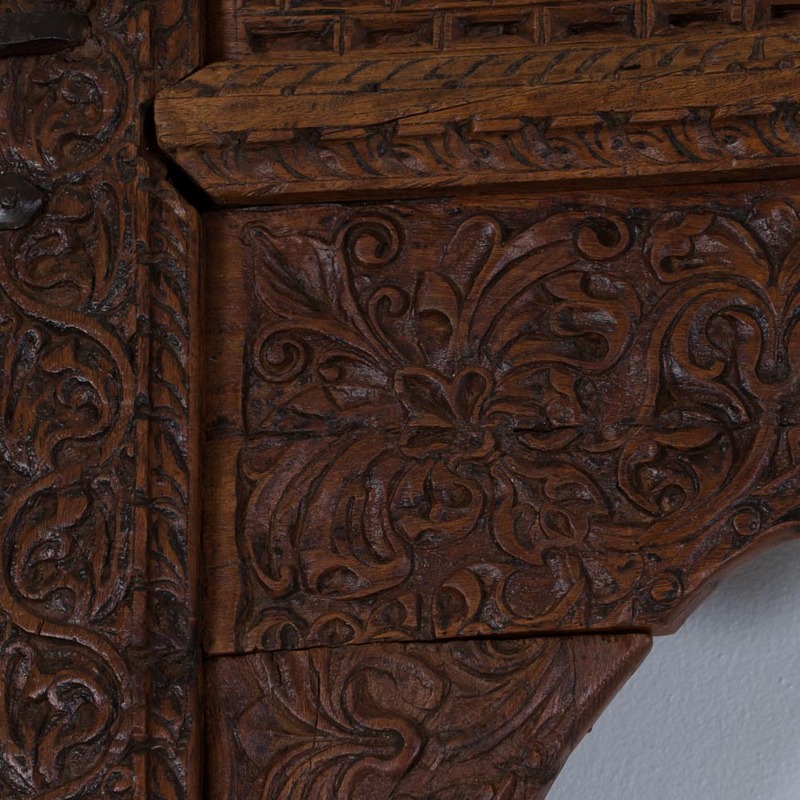 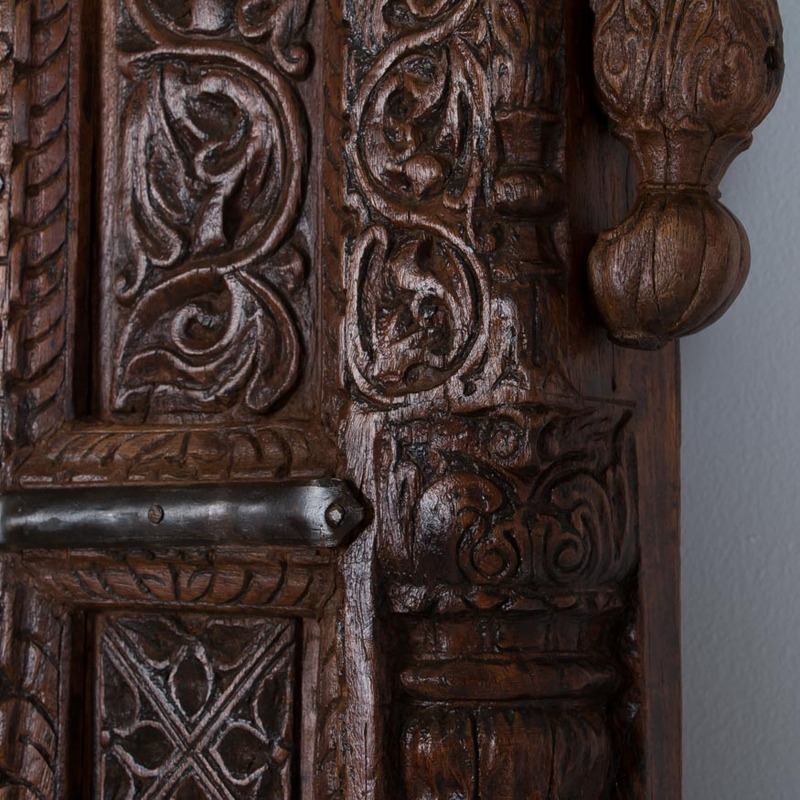 The front features a pair of beveled raised panels above and carved fluted panels below with a flat back. 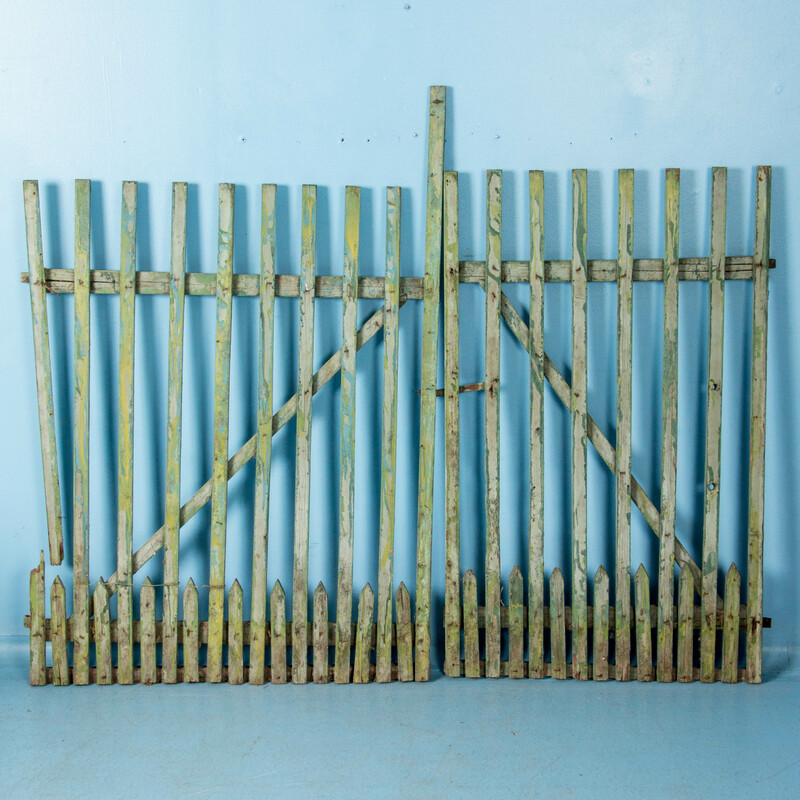 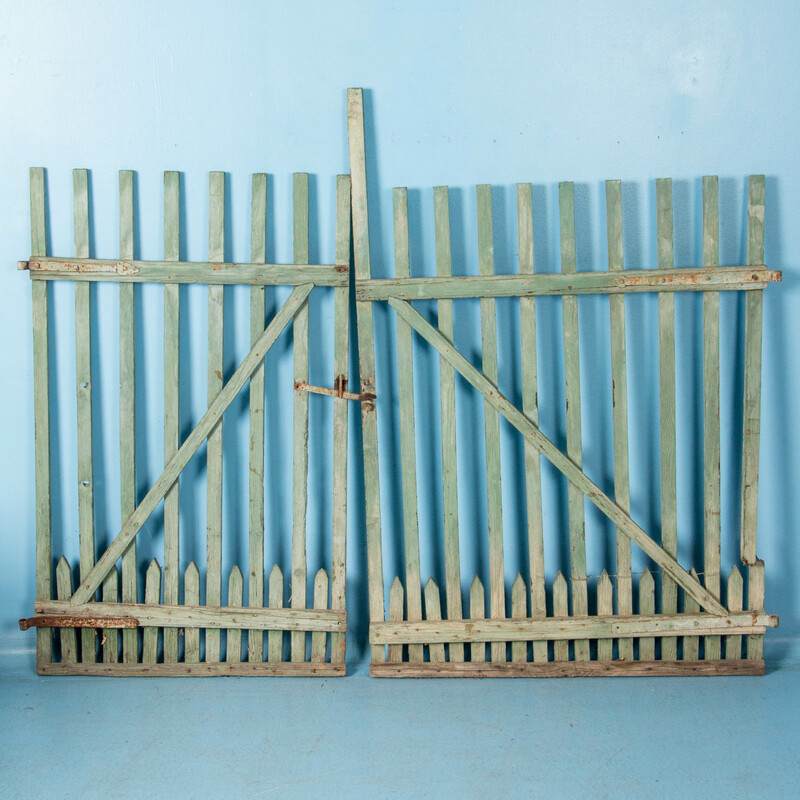 Country gate with remnants of old green and yellow paint in a slatted patern with small pickets below.